I devour anything that I can lay my hands on, especially if it is about Hindi cinema covering the 50s or the 60s. When I came across a mention of this book in an article two years back, I was intrigued. A fictionalised retelling about Guru Dutt, Geeta Dutt and his rumoured relationship with Waheeda Rehman, and that too by Ismat Chughtai – there was no doubt in my mind that I had to read it. I tried hard to get a copy – in any condition of format – of this book. Went to a numerous book stores in the city and even dragged myself to Nai Sarak; but all to no avail. Not even a single copy was available. The book was out-of-print and was soon forgotten…. until a reminder from Amazon showed up informing me that the book was back in print and had been brought out by Speaking Tiger in association with Women Unlimited. Set in the heady days of the Hindi film industry (late 1940s and early 1950s), A Very Strange Man (Ajeeb Aadmi) is at once both an analysis, an understanding of the life of a sensitive, creative genius and a candid, critical account of the film industry itself. An industry Ismat Chughtai was familiar with – her husband Shahid Latif was an established director with whom she had worked – in fact, she had written scripts for more than 10 films, notable among which are Ziddi (1948), Sone ki Chidiya (1958) and Garam Hawa (1973). A Very Strange Man is about Dharam Dev and his success first as a film-maker and later as an actor, his relationship with his singer-wife, Mangala and his subsequent love for Zarina, a starlet whom he discovered and groomed into a star. A royal mess this story was to be. It is clear that the story is Guru Dutt’s life – with the names of the three main protagonists and the names of Dutt’s movies changed. Chughtai is true to form – her tone is frank and critical as she exposes the frailties and flaws of the key “actors” in the plot. Along with this, she delves deep into the foibles and follies of the movie stars and the Hindi film industry itself. Using the insights she drew from her personal equations, Chughtai outlines the pressures, ups and downs in the topsy-turvy world of movies. The late 40s and early 50s was a tumultuous time for the nascent Indian film industry. It was a time when the production house system was collapsing and the independent star system was gaining prominence. Independent stars, not tied to any production house – actors, music directors, directors, singers were becoming more important. They were soon calling the shots and shooting their way to success and fame. How this transition, the ephemeral and fairly fickle nature of the success that seemed to change on a weekly basis (depending on how the movie fared at the box office), and how this highly volatile and insecure business, ridden with exploitation, affected the industry people – the stars, producers, directors, writers and their families is what Chughtai explores. The author’s astute observations and analyses about the stresses, insecurities, creative angst of legendary film personalities are all strung together to create this masterpiece of a book. Chughtai, in an interview, mentioned that she had changed the names of the main protagonists on purpose as she did not want to be sued. However, they are easily recognisable. However, certain well-known personalities, who help move the story along in a manner, are referred to by their real names – Meena Kumari, Mohd Rafi (supposedly a good friend and confidante of Geeta Dutt) and Lata Mangeshkar make their entry in this book as themselves. While the book is at once a riveting and a gripping read, Chughtai is merciless in her narration, when it comes to the portrayal of the characters. What she does retain is a humaneness in the tone. While candid in her tone, the writer is sympathetic to their failings. As a major Hindi film buff, I did find the brutal portrayal rather disconcerting. It is hard indeed to digest, even though the older cynical mind knows it to be true, that one’s childhood favourites had feet of clay. For instance Zarine – the ambitious starlet who cleverly used the opportunity she got to further her career, backstabbing her friend and supporter Mangala in the process without any qualms. No she doesn’t cut a fine figure. One lands up feeling more sympathetic towards the creative genius director and his wronged wife. A couple of other characters, names changed, also left me disturbed. Not too sure who were being referred to but I do think Geeta Bali and Shammi Kapoor were the characters. Even though the Guru Dutt-Geeta Dutt-Waheeda Rehman story is familiar and known to film buffs, the book makes for an interesting and gripping read, albeit unsettling. The writer has definitely achieved what she set out to achieve – an analysis and examination of the topsy-turvy Hindi film industry, while narrating the life of a creative genius whose short life was marred with angst and guilt! 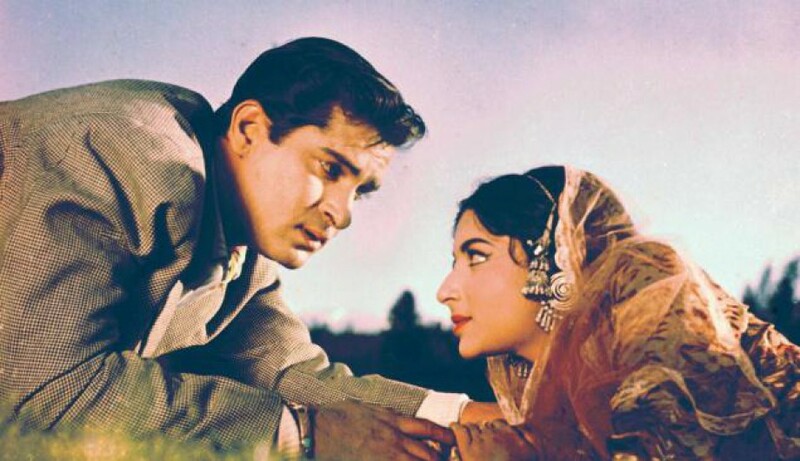 Do read – if you are interested in the topic of Hindi films and stars. This entry was posted in Books, Uncategorized and tagged Garam Hawa, Geeta Bali, Geeta Dutt, Guru Dutt, Ismat Chughtai, Lata Mangeshkar, Meena Kumari, Mohd. Rafi, Shahid Latif, Shammi Kapoor, Sone ki Chidiya, Waheeda Rehman, Ziddi. Bookmark the permalink. Yeah. It is very disconcerting to know a person, whom we perceive differently. Generally that is how we would like to think about stars that too when they portray positive characters on screen. Same way, we ‘ve difficulty in believing that the actors who play villains are good. :-). We tend to forget that they are merely acting out the roles. A well written article. Thank you for this review, Harini! You’ve made me even more curious about this book with this review than with the little preview you mentioned. 🙂 I’m intrigued – the insights into that age attract me, but finding that some of my favourite people might be shown up for what they really are… ah. Now I am in a dilemma. Thanks, Madhu. Do read it. Manuela is right – except that I do not have the heart or will to re-read it. A brilliant book indeed! Read it – but read it as a work of fiction. Exactly the feeling that you are describing. But when you re-read it 2 or 3 times, with a cold, sober, analytic view you understand how Ismat Chughtai is constantly (and masterly) interweaving fact and fantasy. There is for example a film “jhoote Khwab” which reminds us of “Kaagaz Ke Phool” – but in the real film the director does not die by falling from a platform and we all know that. On the other hand, the husband persuading/forcing his wife to drink alcohol with him is straight out of “Sahib Bibi aur Ghulam”. She took a lot of poetic license in the timeline of the films and some real life events as well. So, if I’m not going totally wrong here (and I don’t think I do :), it is inspired by real people, but the people in the novel are not to be understood as accurate portraits. The most important change is in the characterization of Zarina. Whereas Waheeda Rehman had a good middle class upbringing in a loving family, Zarina as a little girl has become a victim of sexual abuse, and has very little self-esteem. Hiding her true emotions in a surrounding that is at the same time attractive and hostile – a blue lagoon with sharks just waiting for you – has become her second nature, and she is not able to tell the difference between true affection and yet-another-abusive-constellation until her very last scene, and then it will be too late. The writing is crystal-clear, sharp as a razor. No sugar-coating. Both toxic masculinity and female double-dealing are mercilessly exposed. There is a brilliantly funny scene with wife and mistress trying to outwit each other! And many more great scenes and dialogue that I’d love to see on a screen or stage. And finally, when it had time to sink in, it’s deeply moving. The fact that love can actually make you sick, and crazy, and can actually kill you – everyone who has ever been unhappily in love will find this very relatable. Thank you for such a detailed analysis. Oh yes, I did pick it up and tried keeping in mind that it is a work of fiction and some parts have been retold. Think Tahira Kashyap mentions it in the introduction. And there are many instances in the book – which clearly have been changed from the known real life timeline/ events. Definitely, the wife being forced to drink alcohol was indeed out of Sahib Bibi aur Ghulam; wasnt the entire Mangala episode with that younger actor reminiscent of Meena Kumari and her ‘fascination’ for a young Dharmendra?